Edith Eccles. Courtesy of the Archives of the British School of Archaeology at Athens. Edith Eccles was born in 1910 in Liverpool and studied classics at the Royal Holloway College London and went on to the British School at Athens (where women were allowed to reside but not to undertake excavation work). Eccles researched seal stones and gems of the Late Minoan period, helped in the reorganization of the Stratigraphical Museum at Knossos, and surveyed the island of Crete for ancient sites. In 1936 she researched the sub-Minoan material from Knossos and helped to publish the excavations of Palaikastro and Praisos. From 1936-1937 she was awarded a scholarship at Bryn Mawr College and in 1938 she directed the excavations of the prehistoric caves near Ayio Gala on Chios and thereafter she traveled extensively throughout Egypt, Syria, Turkey and Cyprus. 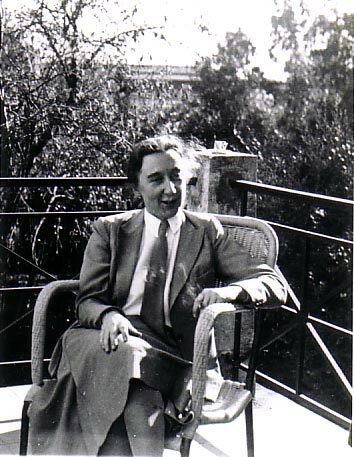 During World War II she worked in various positions including the BBC, WAAF and as a District Officer for UNRRA and in 1945 she served as an advisor to the Greek government on refugee affairs. In 1946, upon her return to England, she was found to be suffering from multiple sclerosis, but in spite of the disease she worked until 1965, finally succumbing to illness and death in 1977. Keywords: Aegean, Anatolia, archaeology, Arkalochori, Arthur Evans, Athens, Audrey Furness, Ayio Gala, BBC, Bernard Ashmole, British School at Athens, Bryn Mawr College, Chios, Classics, Council School, Crete, Cyprus, David Hunt, Duncan MacKenzie, Early Bronze Age, Edith Eccles, Egypt, Emmanuel Akoumianakis, England, Eumorfopoulous, Evans, Evesham, Foreign Office, Garstang, gems, Greek, Greek art and archaeology, Hitler, Hogarth, Holt Educational Trust, Hood, Humfry Payne, “Inselsteine”, James Eccles, J. D.S. Pendlebury, J. Garstang, John Betts, glyptic, John and Hilda Pendlebury, John Percival Droop, Kardhamila, Kato Phana, Knossos, Late Minoan, Lesbos, L. H. Jeffery, Mary Hamilton Swindler, Mary Paul Collins Scholarship in Archaeology, Liverpool, Medmenham, Mercy Money-Coutts, multiple sclerosis, Neolithic, Palaikastro, Panayia Galactonosera, Philip Argenti, Postal Censorship, Praisos, Queen Mary High School, R. C. Bosanquet, Rhys Carpenter, Royal Holloway College London, R. W. Hutchinson, seal stones, Seiradaki, Spyridon Marinatos, Stratigraphical Museum at Knossos, sub-Minoan, Sylvia Benton, Syria, T. E. Peet, Turkey, UNRRA, Valentin Mueller, Villa Dionysos, Voliossos, WAAF, Winifred Lamb, World War I, World War II.